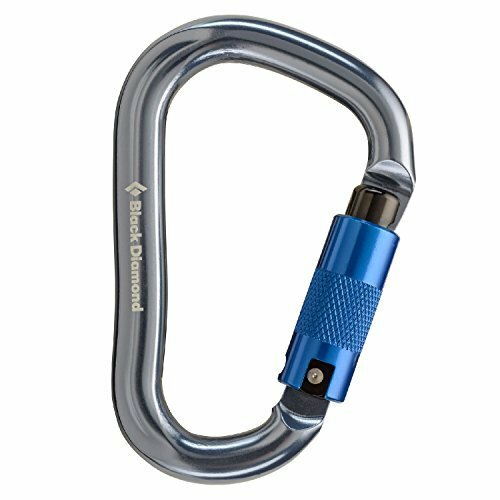 Black Diamond RockLock Twistlock Carabiner - The RockLock Twistlock Carabiner by Black Diamond is a versatile carabiner that will take you to new heights. Featuring a keylock nose, it is Munter Hitch compatible and is available as a screwgate or twistlock. The square hinge end holds belay loop securely in place while the slightly curved spine maximizes the gate opening. The RockLock has a keylock nose that prevents snagging and can be operated with one hand. So if you are looking for something that will allow you to get wherever you want to go, you have found it with the Black Diamond RockLock Twistlock Carabiner.